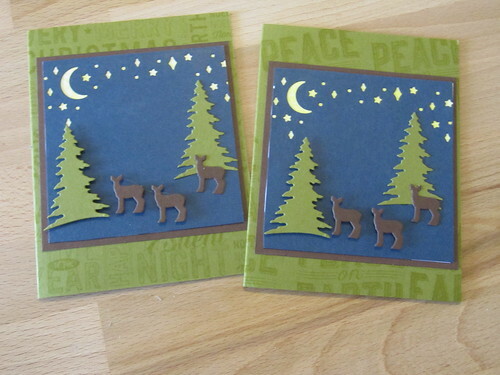 When I signed up to be a Stampin' Up Demo again they sent the Carols of Christmas as a bonus for signing up. At first I didn't think this set would be one I really liked but I picked up the dies and now I just love it! 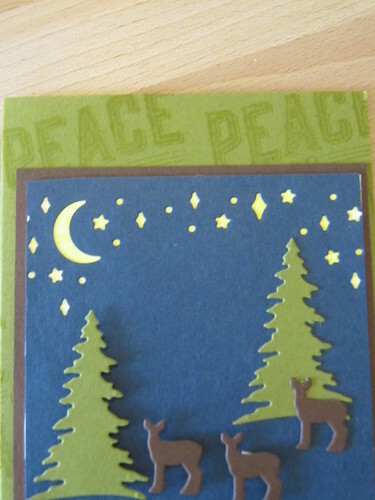 I stamped one of the big sentiments all over the background and then created my scene with the dies.